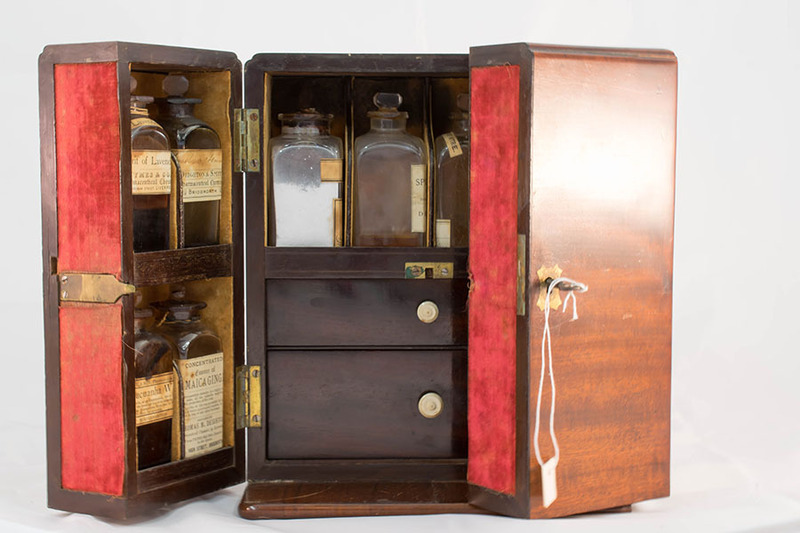 A 19th century mahogany apothecary's box, with brass carry handle, the hinged doors enclosing fitted interior with bottles. 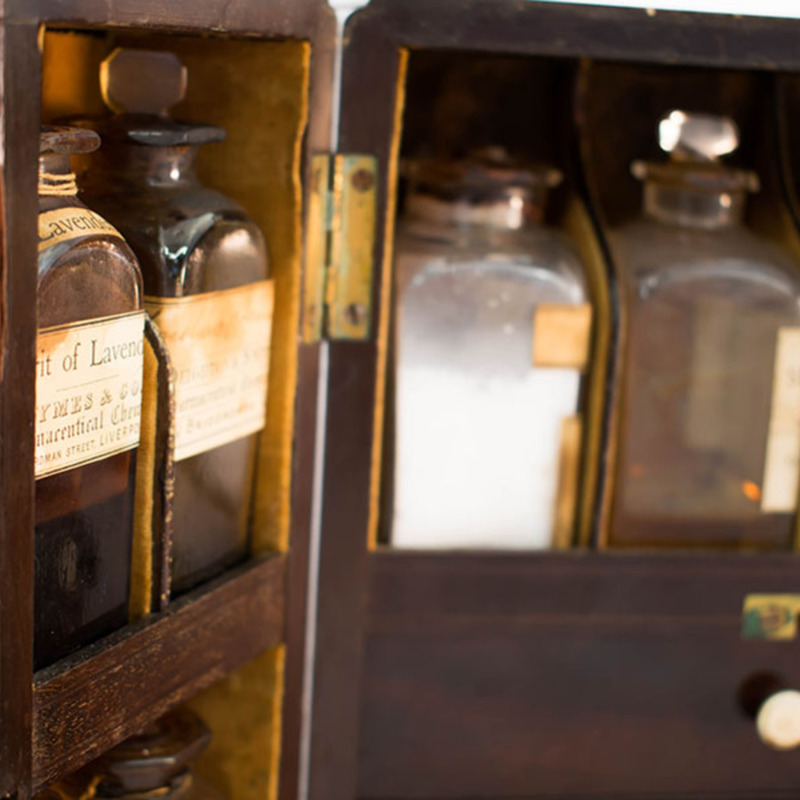 Contains 15 medicine bottles and measuring scales. 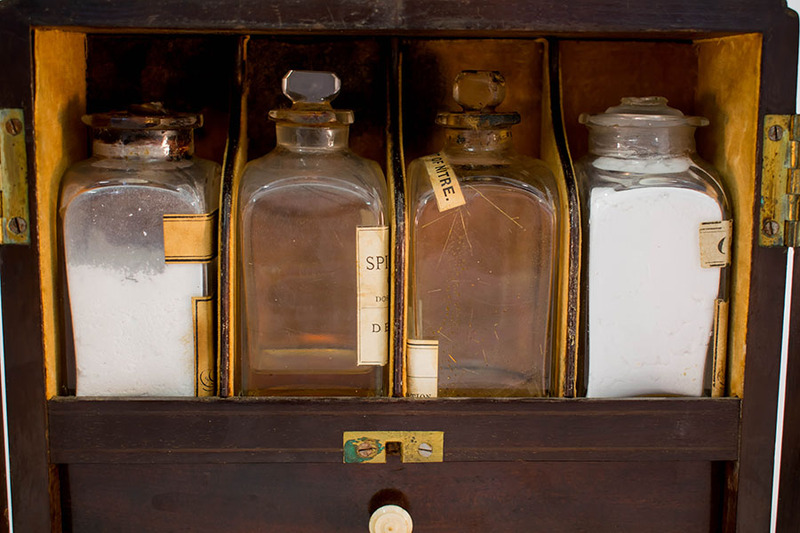 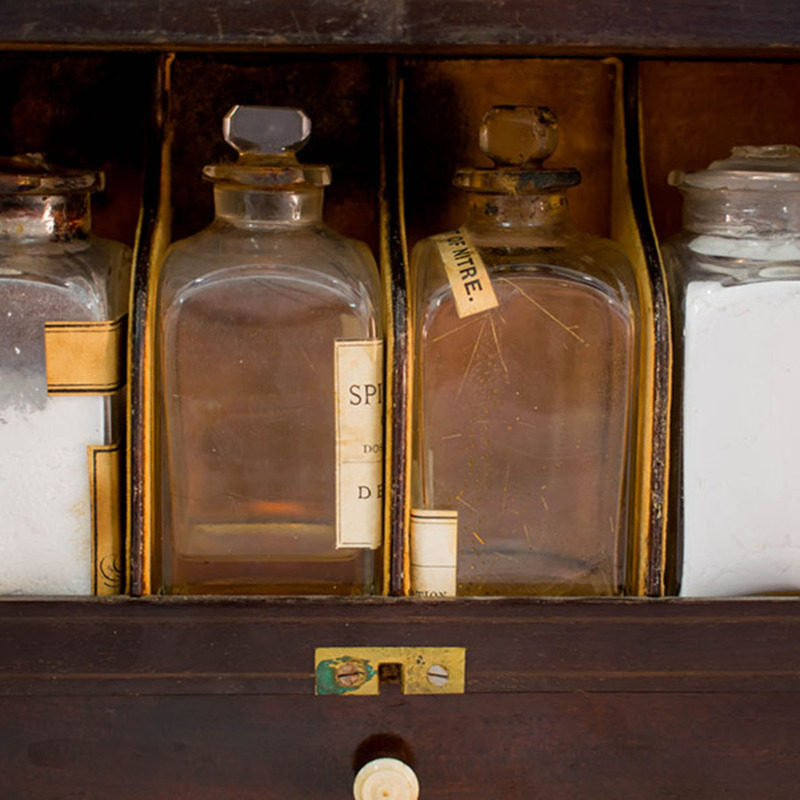 “Medicine Chest,” Heritage, accessed April 23, 2019, https://heritage.rcpsg.ac.uk/items/show/540. 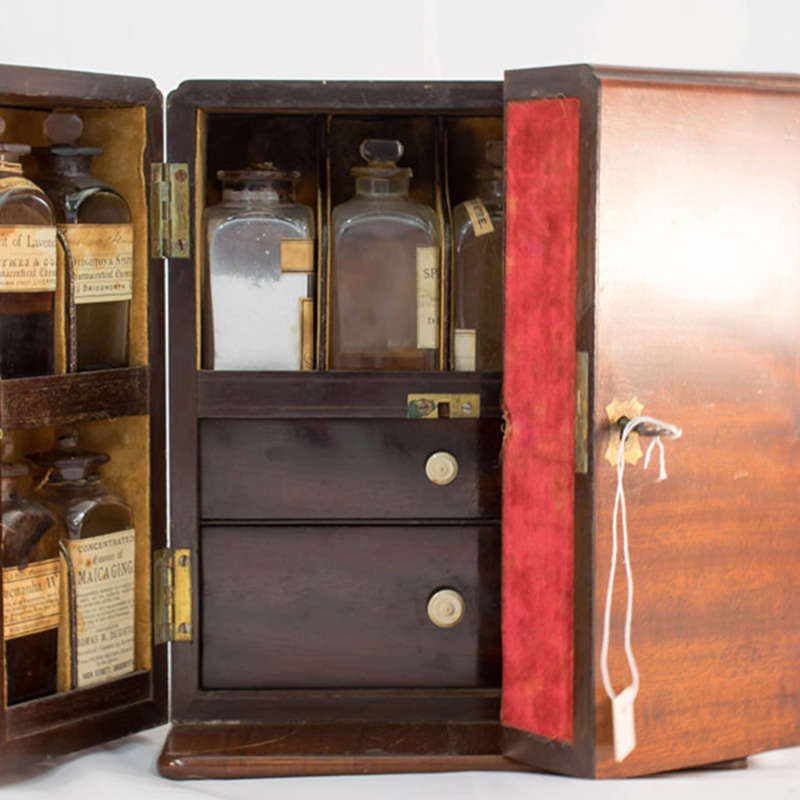 Description: A 19th century mahogany apothecary's box, with brass carry handle, the hinged doors enclosing fitted interior with bottles. 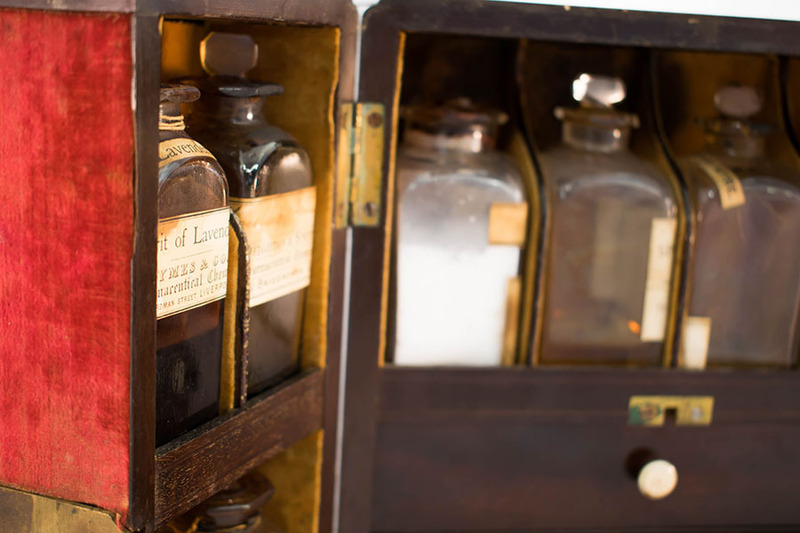 Contains 15 medicine bottles and measuring scales.